The University of Louisville Foundation created an ad-hoc committee to investigate last week’s audit. The committee, chaired by trustee Earl Reed and including the ULF Chair Diane Medley, would investigate the audit and recommend governing changes to the foundation’s board. Medley says she was not surprised by the audit, and donor’s responses to the audit’s findings have been positive. That audit, by Alvarez and Marsal and released June 8, heaved monumental allegations at the ULF’s former administration. That administration was led by former U of L president James Ramsey, who was also president of the foundation. The report said his administration loaned $52 million to the ULF companies which may not be repaid, paid more than $21 million to administrators in deferred compensation, hid and destroyed information from the public to cover its tracks and more. 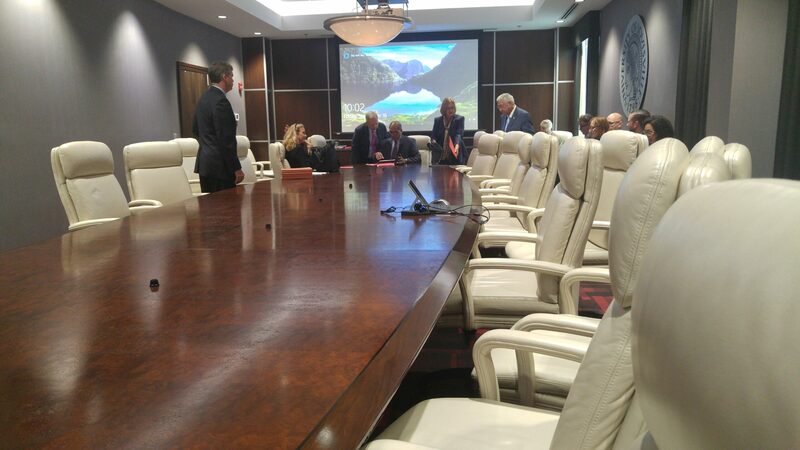 U of L Board of Trustees Chair David Grissom said the university shall investigate whether they will take legal action against some of those administrators. Attorney General Andy Beshear will too, investigating whether actions by Ramsey’s administration were criminal. U of L staff urged legal recourse for the former administration, extending their meeting an hour to discuss the audit. Most of Ramsey’s administrators were deposed. Some, like the ULF’s Chief Financial Officer Jason Tomlinson, remain. But Tomlinson is on a “mutually agreed-upon” leave, according to Medley. She said she did not know when Tomlinson was put on leave or if it was indefinite. Kathleen Smith, Ramsey’s former secretary, was put on paid leave in September 2016. Smith was, allegedly, the administrator trying to cover the ULF’s tracks, cited in multiple emails within the audit. Smith’s attorney, Ann Oldfather, disputed the audit. Further, Oldfather asked the foundation pay Smith’s legal fees for defending “pending investigative proceedings” by the university and the foundation. She expects that could be up to $50,000. Those limitations, prefaced in the audit, say it did not follow standard auditing procedures. But Medley said the audit seems accurate. Grissom, Medley and the full U of L board meet tomorrow. Litigation and separation from the U of L hospital may be discussed.